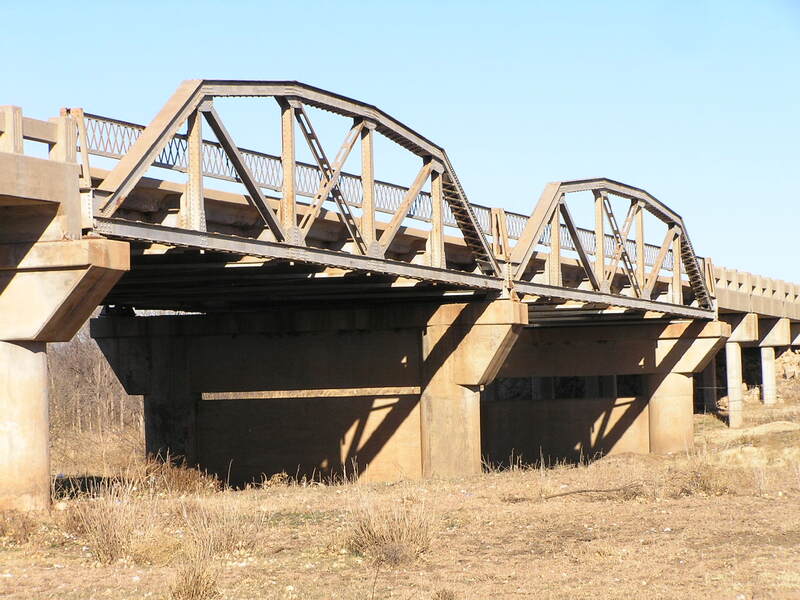 Though given as being built in1948, it may be likely that the bridge was altered in 1948. 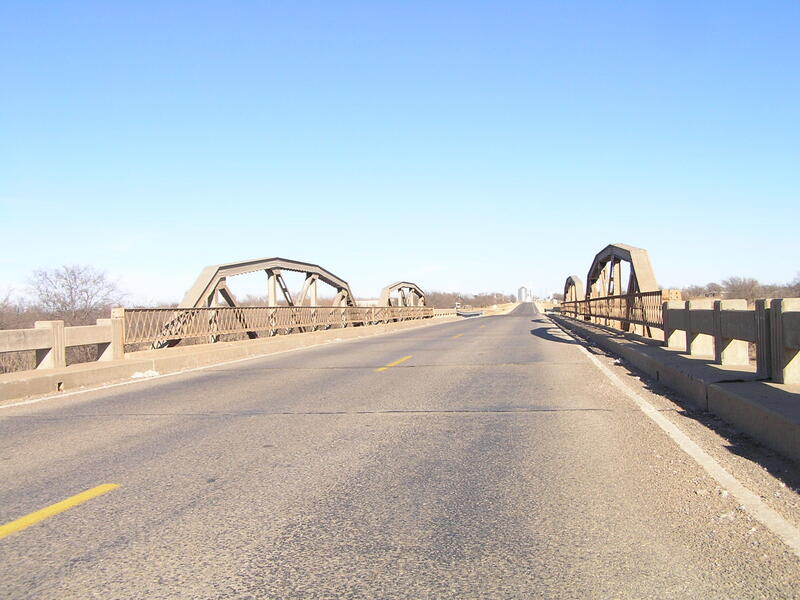 The above view is looking northeast through the bridge into Eldorado. 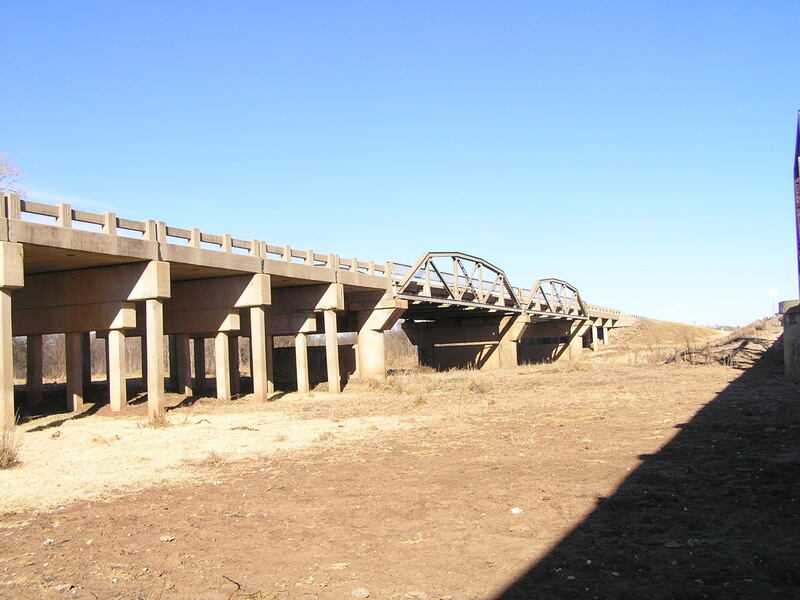 The bridge consists of 13 spans in total, including two 80 foot riveted Parker ponies. The structure is 395 foot long overall. Below, another view through the bridge. Note the lattice railing on the truss span, and the late 1940's/early 1950's era concrete guard rails on the approach spans. Above, a side view of the trusses. 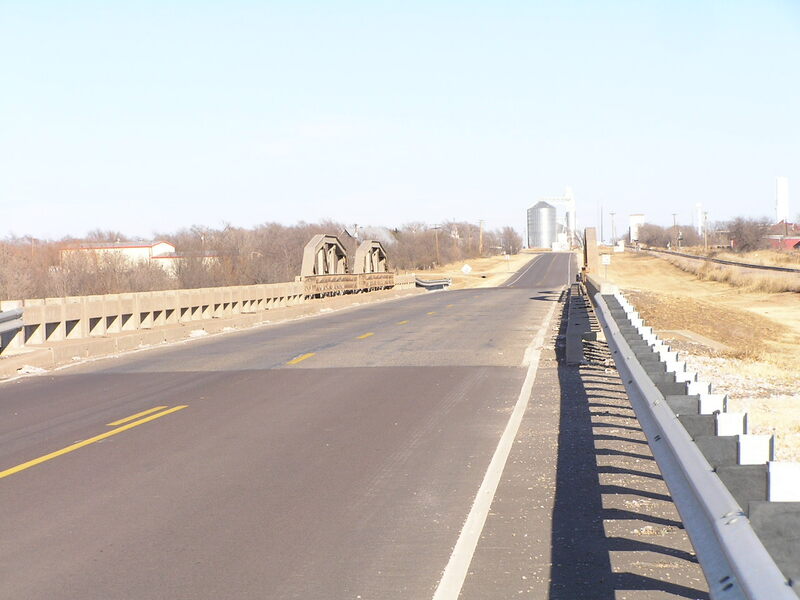 The bridge appears to have been widened reusing the original narrow piers. The view below adds to the suspicion that this bridge was remodeled in 1948. It appears that the original approach on this end was only 5 spans long, lower, and narrower. This was a trestle style approach, and may have been either steel stringer or concrete spans. 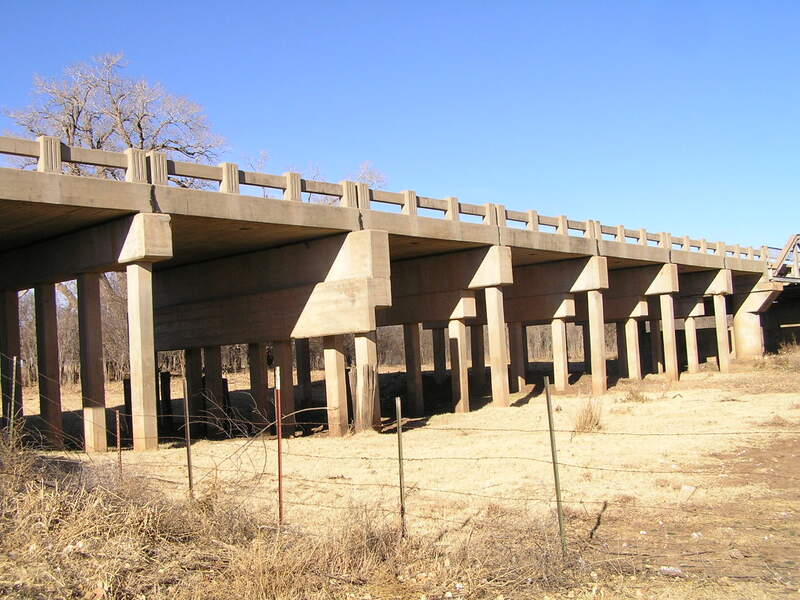 The present structure uses concrete slab spans supported on concrete piles. Above, another view showing the truss spans and approaches. 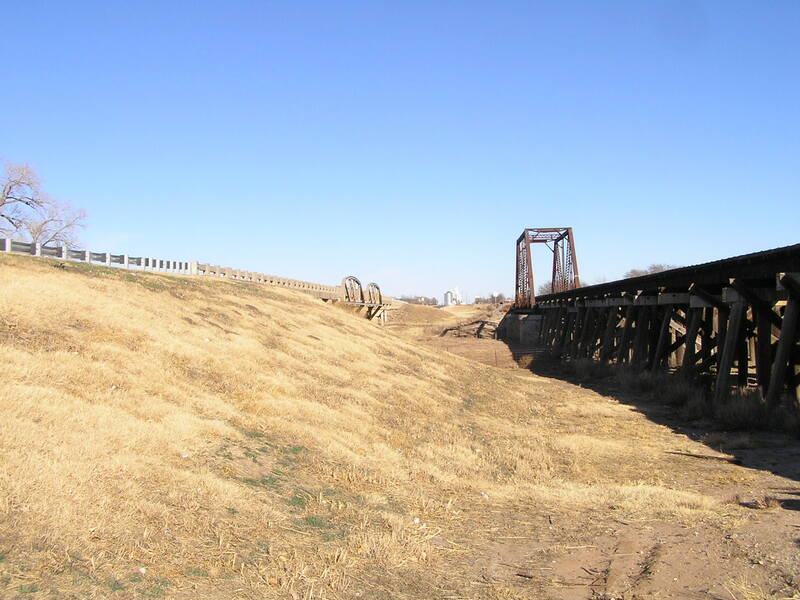 Below, this bridge has a neighbor carrying railroad traffic.